Alexandra Park is the ideal venue for conferences, workshops, camps and retreats. Located on the Sunshine Coast in picturesque Alexandra Headland, we offer flexible packages with modern accommodation, full catering for groups of 25 to 500 people and excellent conference facilities including spacious indoor and outdoor areas. Our 25 acres of secluded bushland is only 500 metres from the patrolled surf beach at Alexandra Headland, and minutes from the Mooloolaba café precinct and plaza shopping centre. This tranquil spot is perfect for meetings, workshops, community functions and training and development programs. 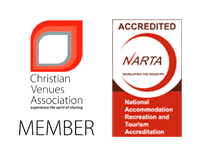 Through partnerships with local providers, we are able to offer a wide range of educational, leadership, challenge and recreational activities. For more information check out our Programs and Activities page. Our modern meeting rooms are equipped with all the necessary audio visual equipment including Wi-Fi internet access. Our facilities and activity spaces suit leadership development programs. Multiple meeting rooms and rehearsal areas are ideal for music and drama camps. Our unique venue offers numerous outdoor and indoor options for your special day. Be sure to ask about a outdoor chapel. 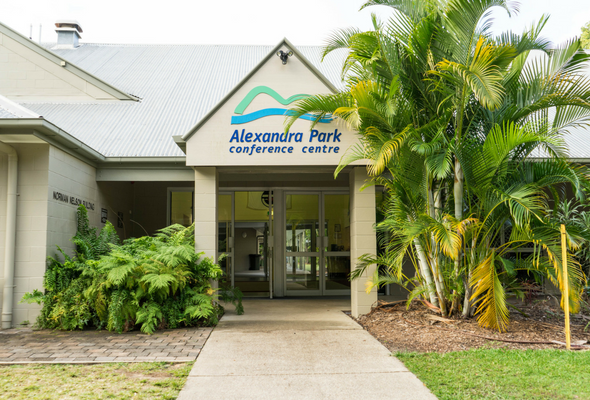 Escape, grow and connect with your team, colleagues or community at Alexandra Park Conference centre. Contact our staff to create a personalised package to meet your needs.